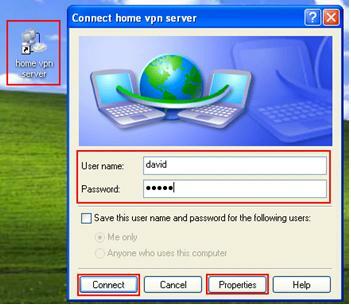 Let’s learn on how to configure PPTP VPN client in Windows XP in this article, then connect to home network’s PPTP VPN server securely. Please note if your PPTP server is behind the router with DSL/Cable Internet connection and you try to connect to it from Internet, then you need to connect to public IP of your DSL/cable Internet connection. 1) Go to Start and open Control Panel. 2) Control Panel window will open, then double click Network Connections icon. 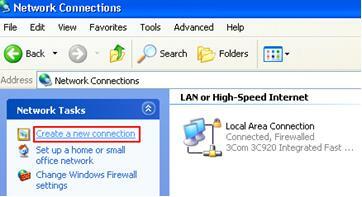 3) Click Create a new connection on Network Connections window. 4) New Connection Wizard window will appear, click Next. 5) Select Connect to my network at my workplace option and click Next. 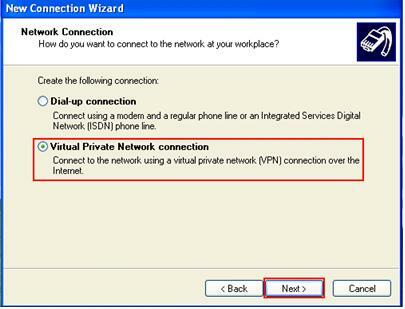 6) Select Virtual Private Network connection option and click Next. 7) You can then name this VPN connection. Here I put home VPN server. Click Next again. 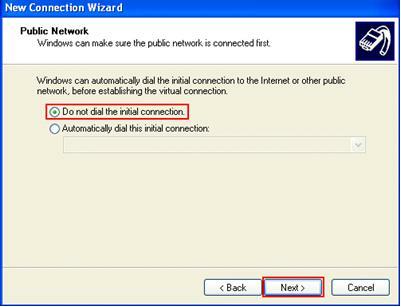 8) If you have dial up connection setting on your computer, this Public Network window will appear. If you computer already connected to public network or hotspot, click Do not dial the initial connection option. If you need to dial Internet connection and then initiate VPN connection, then you need to select the other option, Automatically dial this initial connection. 9) Ok, here you need to type the IP address or host name of the VPN server computer in your home network. Most of the time it’s the public WAN IP of your home network’s DSL/cable Internet connection if the VPN server is located behind router. Check this what is my WAN IP article if not too sure about WAN IP of your home network's Internet connection. 10) Click Finish to complete the new connection wizard. Tick that Add a shortcut to this connection to my desktop option. 11) Now you can go to your desktop and double-click the new VPN connection icon, after that key in your username and password and click Connect button. Note: If you did not create the shortcut in your desktop, you can locate this new VPN connection icon in Network Connections window. Note: click the Properties button if you need to change the configuration. 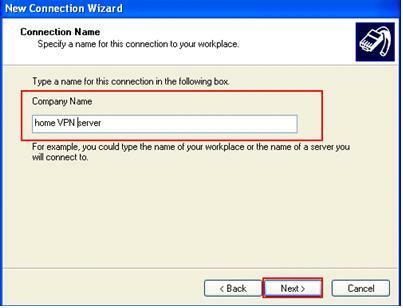 12) Once you are connected to VPN server, the connected icon will be shown in Network Connections window. 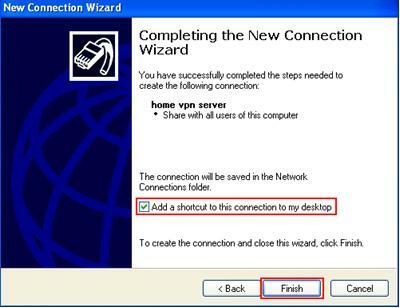 Return to top of "Configuring PPTP VPN Client in Windows XP"! !